Call history, which includes both standard phone calls and FaceTime, may bear too much data for our daily communication, such as caller and receiver, the call date and duration. However, iPhone will delete call history automatically when the call log is over a certain number. It is necessary to transfer call history from iPhone to computer regularly for any probable use in future. 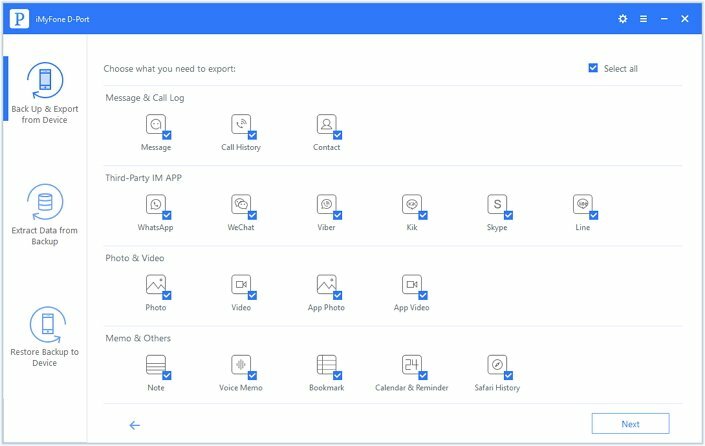 Here the article will introduce how to easily transfer call history from iPhone 7/SE/6s/6/5s/5c/5/4s/4 to computer and how to view your call history which is backed up to iTunes/iCloud for your reference. 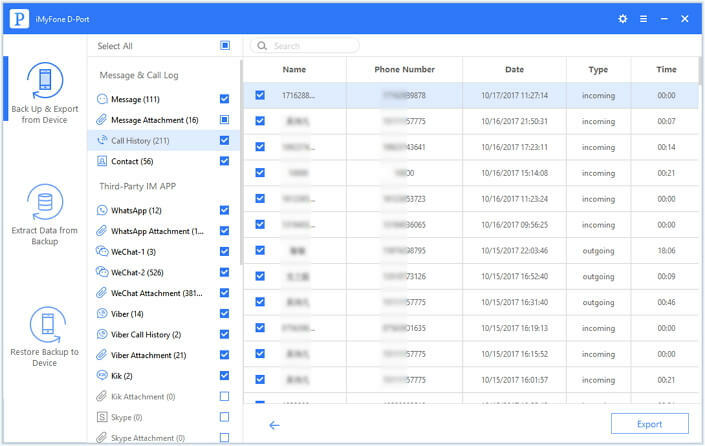 You can use one iPhone data transfer tool to transfer your call history from iPhone to your PC/Mac for better keeping. And iMyFone D-Port iPhone data extractor is definitely a good choice to you. With powerful features, it can do more than transferring iPhone call history. Besides call history, the program can download voice memos from iPhone to computer, view photos in iTunes backup, retrieve notes from iCloud backup and much more. It supports 18+ types of data. It supports to export data from iPhone/iPad/iPod, or iTunes/iCloud backup. It enables you to make a full or partial backup of your iOS devices including iPhone 8. Free trial version and 30-day money back guarantee is offered for all users. 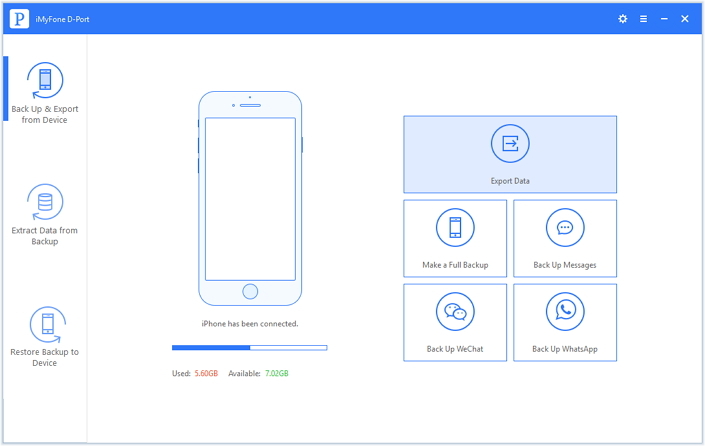 Run iMyFone D-Port and choose Back Up & Export from Device option. Connect your device with the computer and choose "Export Data". It will take a moment to scan the call history on your iPhone. 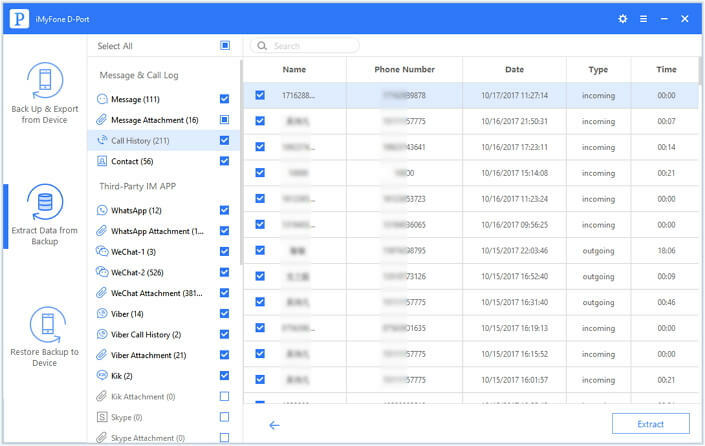 After the scanning, you can preview the specific content of your call logs. Check the ones you need, or all of them. Then click Export, iMyFone D-Port will ask you to choose or create a folder to store the call history which will be transferred. After several seconds, your call logs are transferred successfully. If you have backed up your call history to iTunes or iCloud but been suffering for you couldn’t view your important call history in backups – we all know that to restore data from iTunes/iCloud backup will overwrite the existing data on iPhone, then go on with the article to find help. 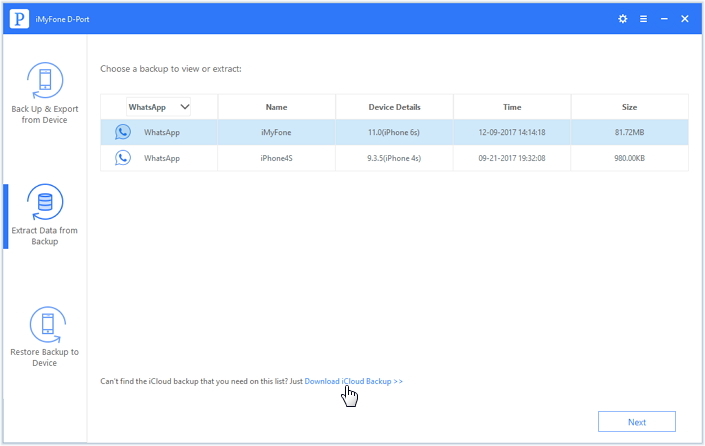 Here we take viewing iCloud backup as example. From Extract Data from Backup, click Download iCloud Backup. Log in your iCloud account. 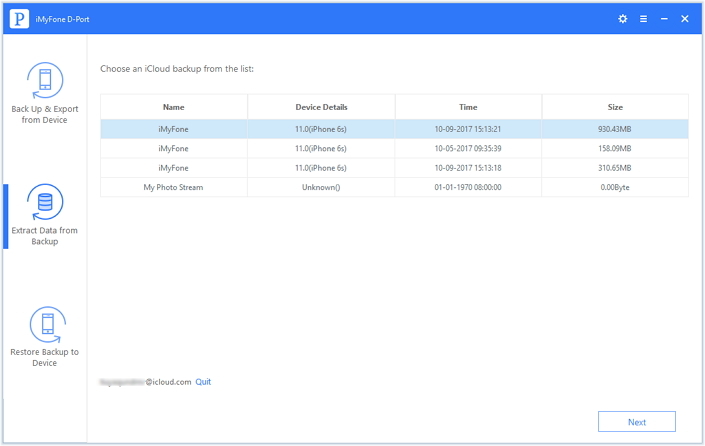 Then iMyFone D-Port will list all backups under the iCloud account. Choose the most relevant iCloud backup to download and click Next. Then you will need to choose the data type(s) that you want to view. Here we choose Call History. After downloading, iMyFone D-Port will list all your call history in the iCloud backup for your preview. Check the ones you need. Click Extract to choose a folder on your computer to store the call history which will be downloaded from iCloud backup. 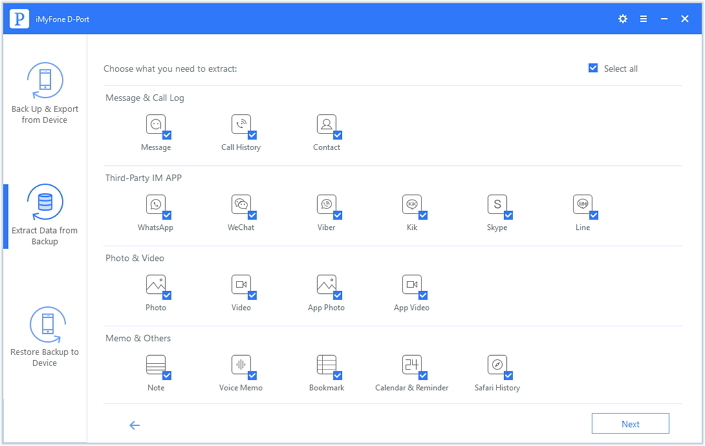 And after several seconds, you can view your call history on your computer. Note: If you have backed up your call history to iTunes, you can use the similar, even easier steps with Extract from iCloud Backup to view your call history in iTunes backup. Now, you know how to transfer call history from iPhone to computer and view iPhone call history in your iTunes and iCloud backup. Don't forget that iMyFone D-Port iPhone data extractor offers the free trial version. Download and try it!